A new ferry is carrying commuters between New Jersey and New York City. 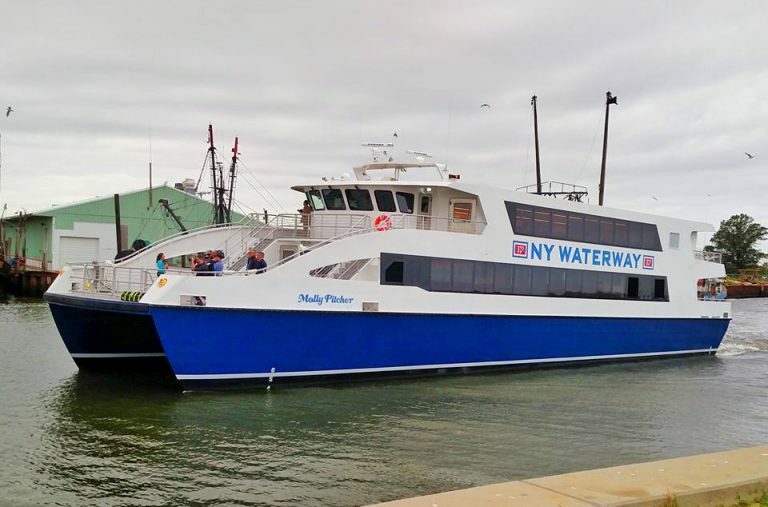 The 400-passenger Molly Pitcher began service today, departing New York Waterway’s dock in the Belford section of Middletown. 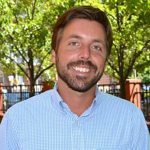 It will travel to the World Financial Center in Lower Manhattan, Paulus Hook in Jersey City and West 39th Street in Midtown Manhattan. The 109-foot vessel, which has seating for 350 in climate-controlled cabins and heated handrails, has outside open deck space on the lower and upper levels. A marble bar serves coffee in the morning and cocktails in the afternoon, and wifi service is available throughout the boat. Molly Pitcher travels at 33 miles per hour, making it among the fastest boats operating in New York-area waters. Ferries operate at the Belford/Middletown ferry terminal Monday through Friday, carrying more than 2,000 passengers per day. The Molly Pitcher was built by Yank Marine in Tuckahoe, Cape May County, a shipyard that has been in business for more than 40 years.